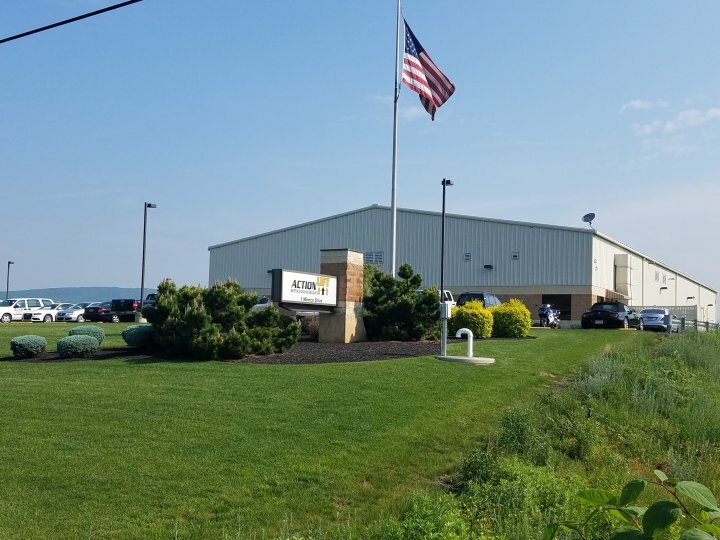 Northeastern Pennsylvania’s leading material handling authority, we have been in business for over 30 years representing some of the best product lines in the industry. Determined to be the best forklift supplier in Northeastern Pennsylvania, we sell the highest quality products and provide only the best possible service. We are committed to keeping your material-handling equipment operating at its peak and your business running at maximum efficiency. Turn to us for your service and parts needs! We represent the best companies in the industry and can keep your loading dock equipment safe and functioning at its best capacity. At Action Lift, we supply top-notch material handling products and tailored solutions to meet our customers’ most demanding challenges. You can count on Action Lift because Customer Support is Our #1 Priority! 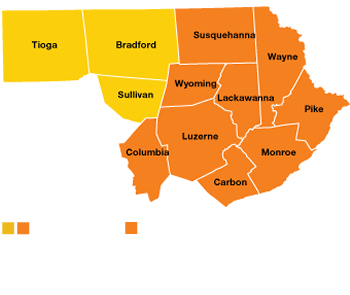 Our experienced team is ready to be your material-handling solutions partner in Northeastern PA.
Action Lift has an excellent response time with friendly office staff and skilled technicians. They provide great support with cutting-edge technology and when we need Action Lift they are there! Over 20 yrs. of dealing with Action Lift and I can say the staff is hands down the most professional and pleasant group I have ever dealt with. Keep up the great work! I have had a working relationship with Action lift for the last 15 years, and all I can say is their name says it all, ACTION! Whether you need service or rentals they respond in an instant. Everyone I have dealt with in their organization is very knowledgeable and super helpful. I would and do recommend them to anyone who needs forklifts, dock door repairs, racking, and many other things. They do it all! 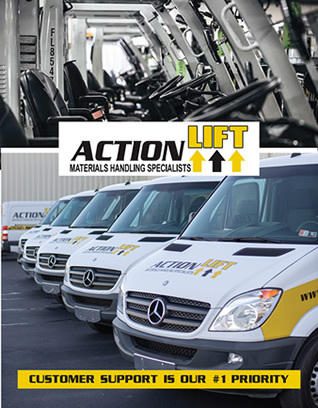 Checkout the latest brochure from Action Lift and learn more about how we can help you. Our full line of Allied Warehouse Products is full of solutions to help you maximize efficiency and minimize cost.